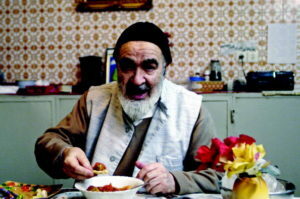 Iranian Grand Ayatollah Hossein Ali Montazeri fell out of favor with the clerical establishment, lost his status as Ayatollah Khomeini’s hand-picked successor and deputy, spent five years under house arrest, and was scorned for his support for the opposition “Green Movement” before his death in 2009. Grand Ayatollah Hossein Ali Montazeri, once in line to become Iran’s supreme leader, has come back from the grave to haunt the Islamic establishment that punished him for openly criticizing the regime’s mass killing of political opponents in the late 1980s. The release of an audio recording made in 1988 of Montazeri lashing out against the authorities for carrying out a fatwa issued by the father of the Islamic Revolution, Ayatollah Ruhollah Khomeini, against enemies of God and state has opened the lid on one of the Islamic republic’s darkest and most secretive chapters. Aside from Montazeri’s memoirs published in 2000, the true extent of his resistance to the culling was unproven, and officially questioned. But his voice of opposition comes through clearly in the grainy audio released in August on his official website, maintained from Iran by his family. The prominent theologian paid for his stance. Montazeri fell out of favor with the clerical establishment, lost his status as Khomeini’s hand-picked successor and deputy, spent five years under house arrest, and was scorned for his support for the opposition Green Movement before his death in 2009. But the emergence of the audio — released, his son Ahmad Montazeri says, to counter attempts to distort history and to confirm the claims made in his father’s memoirs — has the establishment on the defensive again and has recreated an environment of retribution. The executions were carried out in the last days of the 1980-88 Iran-Iraq War, after Ayatollah Khomeini declared that apostates and those who had taken up arms against the Islamic republic were “waging war against God” and should be sentenced to death. The secret fatwa was issued shortly after members of the banned Mujahedin-e Khalq Organization (MKO) who were based in Iraq at the time and supported by Saddam Hussein — made a last-ditch incursion into Iran known as Operation Mersad. But it was not only members of the MKO whose fates were determined by the death committees. Over a five-month period in late 1988, tens of thousands of Iranians would be grilled about their religious beliefs and political affiliations, pressed on their willingness to sacrifice their lives for the Islamic republic — by walking through minefields, for example — and strong-armed to denounce their comrades on state media. “The only thing the Islamic establishment has not managed to do is to silence this voice of protest,” says one survivor. The Iranian establishment has rarely acknowledged the executions, which critics and survivors say had been planned months in advance in an attempt to purge the prisons of regime opponents. The authorities have long enforced a news blackout on the issue, and harassed victims’ families seeking answers. But the position taken by Purmohammadi and other officials led deputy parliament speaker Ali Motahari, an outspoken conservative lawmaker, to make a surprising call for an investigation into the mass killings. He suggested in August that officials were pointlessly repeating slogans about the crimes of the MKO, which he said had killed his own father, without addressing the public’s questions surrounding the executions and revealing possible mistakes or negligence. On September 5, he announced on social media that he had been charged with “acting against national security” for releasing the audio, which he removed from the website following a request by the Intelligence Ministry. Paris-based Mojatab Taleghani, whose nephew was among those executed, says the official reaction does not come as a surprise. “They’re all accomplices in this crime, not defending themselves would be a confirmation that they’re criminals, as Montazeri called them on tape,” he said.